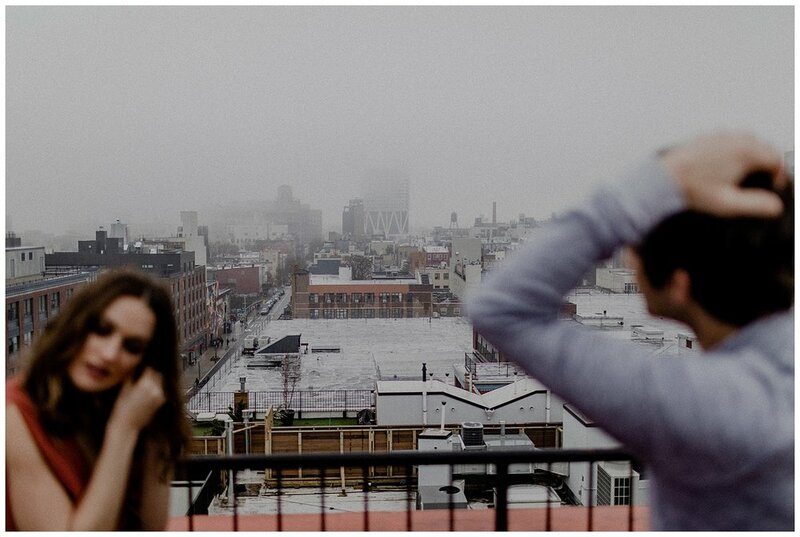 photographing an engagement session in brooklyn is always on my - would love to do all of the time, list - the culture. the diversity. the OPTIONS! 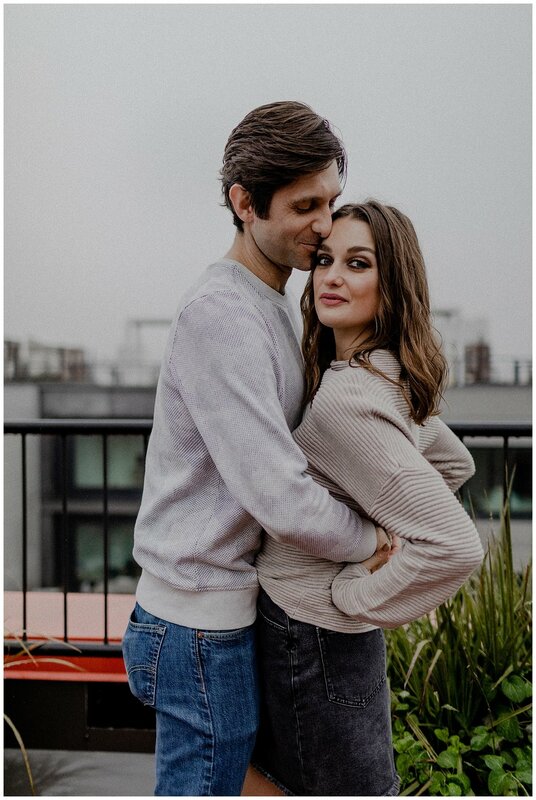 brooklyn supplies so much for an engagement session. THEN we add fog and mist into the picture and the streets glisten like glitter. 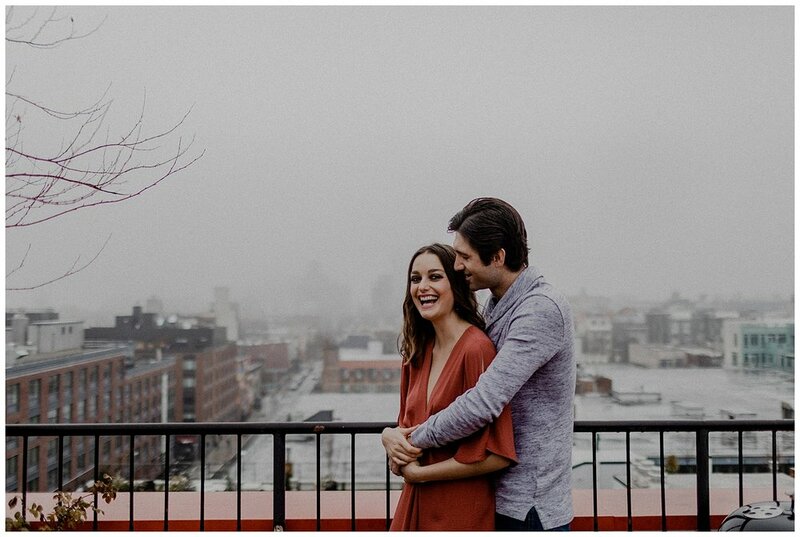 this is what we call the perfect concoction for a foggy engagement session in brooklyn. adam and alexandra were the golden couple. i want to talk about trust for a second. when you are booking your wedding photographer you need to 100% TRUST that your wedding photographer can create under any circumstances. 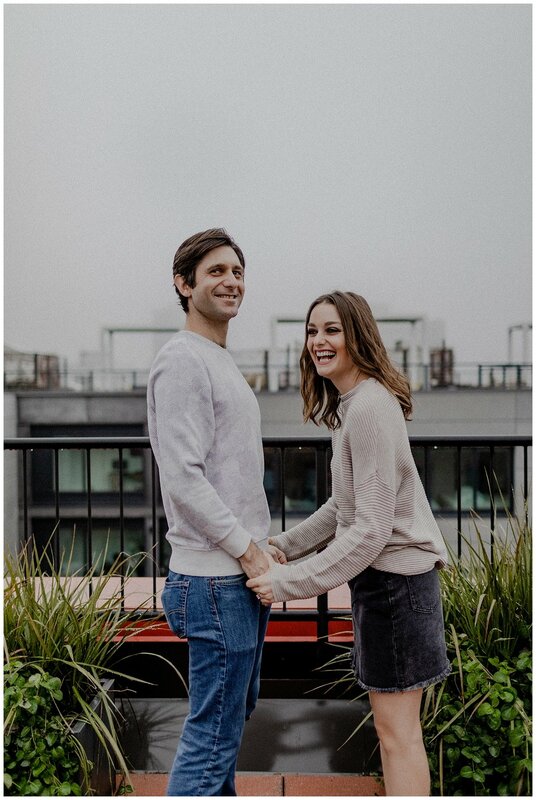 and when you do, that wedding photographer will shine. its simple. 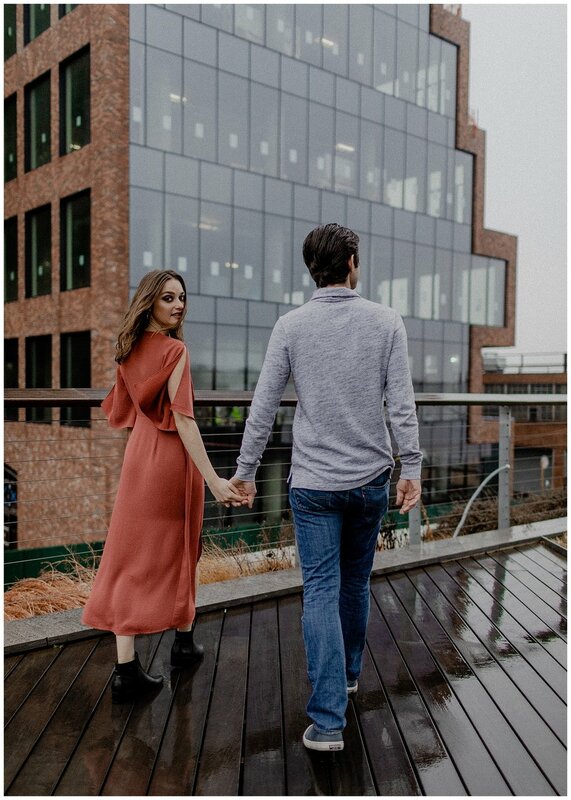 adam and alexandra literally allowed us to just walk around brooklyn for the engagement session. we went to FOUR different hotels to see if we could use their rooftops .. (which we found out - brooklyn isnt so friendly like central pa is for shooting in restaurants and hotels haha) - and in my mind i began freaking out a bit. 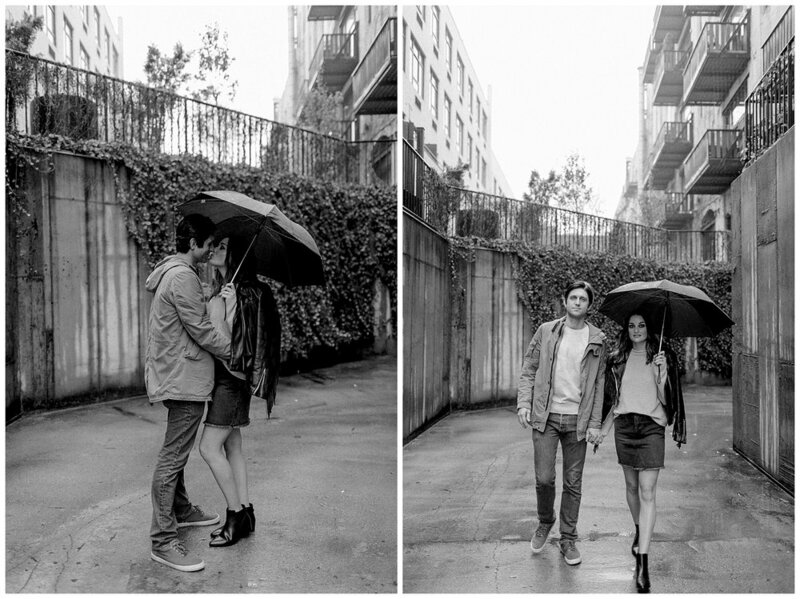 but they both reassured me they were fine just walking around to find the best locations. we finally we’re able to settle down in The Hoxton, in williamsburg. we sat right down and began. (thank you Hoxton!) 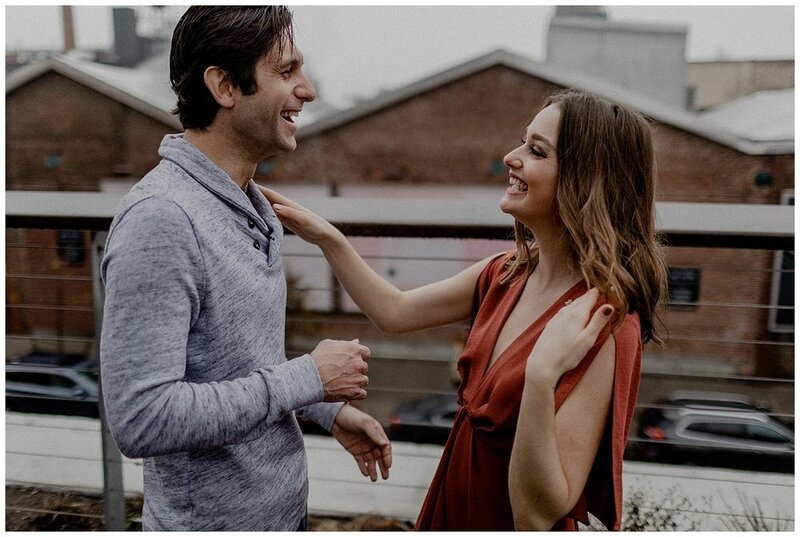 thankfully, all of the locations we found in brooklyn for the engagement session ended up being just perfect. 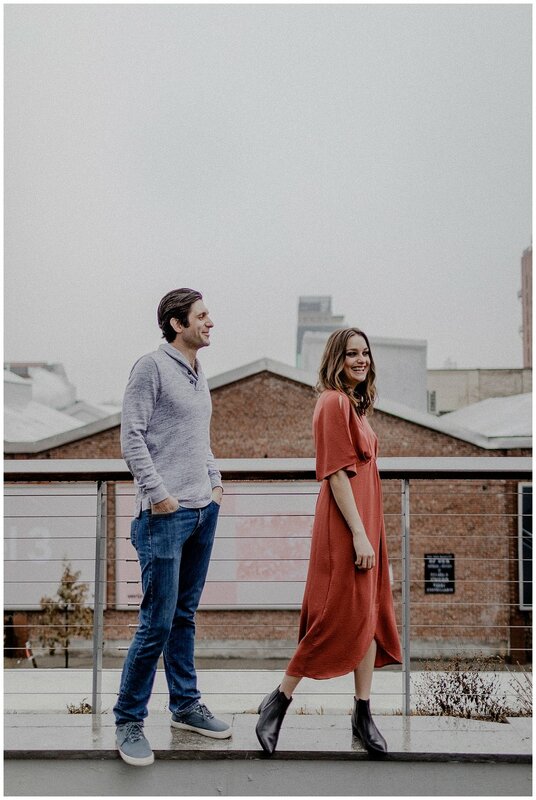 thank you williamsburg, brooklyn for having such culture and being perfect for an engagement session. and thank you adam and alexandra for just being the most chill humans alive.